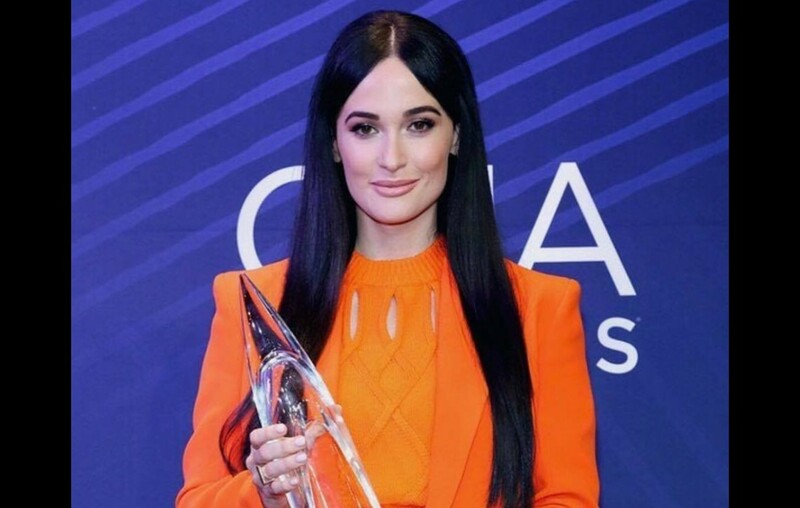 Country music artist Kacey Musgraves took home the 'Album of the Year' award at the 2018 CMA Awards exactly ten years after her move to Nashville! “10 years ago TO THE DAY yesterday [Nov. 14], I moved to Nashville. To win the award for Album of the Year on that same day means more than I could have ever imagined I would deserve. I have to say, it takes quite a lot to make me emotional. I create because it simply feeds my soul. So, I think it’s sometimes easy for me to feel more nonchalant than I maybe should about accolades and airplay. But I am forever proud for my perspective and my version of Country music to be recognized. I revere the roots of this beautifully historic genre to my core. It’s been embedded in me since childhood, singing traditional country and western music since I was 8. Preserving those elements while having the courage and freedom to infuse other influences is everything to me and I couldn’t have done it without my friends and co-producers @thesilverseas + @tronian. They helped me find my creative self again. Massive thanks to them, my entire team, the @cma, and to anyone out there who found any peace or joy in this collection of songs. It’s nice to know that there are others out there who can relate to all the feelings I’ve had during this chapter of my life. In this divisive and polarizing time it lets me know that we really are all in this together. 🖤 Thank you,” Musgraves shared via Instagram. During the awards show, Musgraves also took to the stage for a live performance of “Slow Burn,” showcasing her effortless vocals and poignant lyrics. I’m gonna do it my way. Congrats to Kacey on earning this honor! Share her response with other fans!